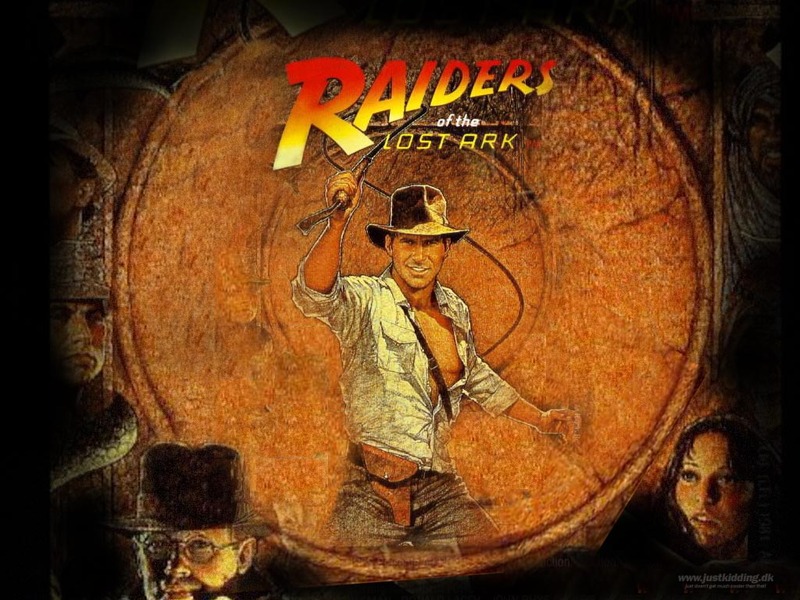 Raiders of the Lost Ark is one of my favorite movies. It’s the first movie I remember going to see, at the theater, with my friends….without parental supervision! And it was magical! The thrill of the hunt for lost artifacts, the intrigue of ancient mysteries, deciphering historical clues and escaping harrowing booby traps….and Harrison Ford…need I say more! I’ve always loved this tribute to the film serials of the 1930s and 40s…and looked forward to each movie of the series. 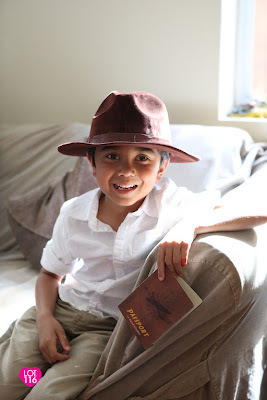 My boys became fans of Indiana Jones through the Lego video games and building sets. They hadn’t seen any of the movies until about a month ago, but knew the plot lines, the characters and the adventures because of the Lego video game. 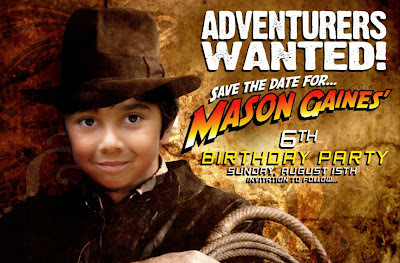 When Mason said he wanted an Indiana Jones party for his 6th birthday, Mark (my brother-in-law) and I were ALL OVER IT!!! We were so excited, we couldn’t contain ourselves. 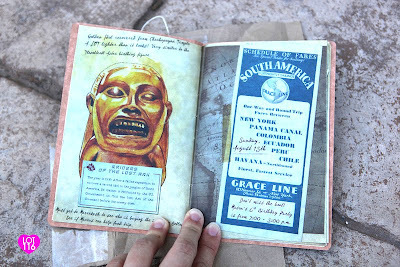 If you thought we were nuts about Star Wars (that birthday party post is still in the works, but coming soon), our excitement about Indiana Jones was on a whole other level of nuttiness. So we started planning…. Now, let me preface this post by mentioning that this party was planned in less than four weeks. 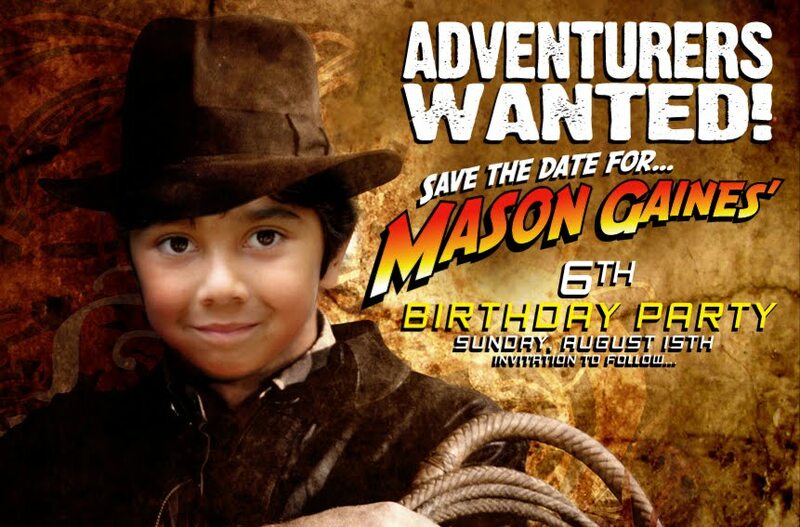 Mason’s birthday is in August, which is during the peak of my wedding season deadlines, and this year my husband and I trained for and ran the San Francisco Marathon. So I must say that I could not have pulled off this party without my “Dream Team”….most of the party prep was done in the week leading up to the party. We had so much fun planning this party that we documented a lot of the prep, and with my blogging being as long-winded and wordy as it is, I thought I should break it up into THREE parts, since I would like to share all the details. 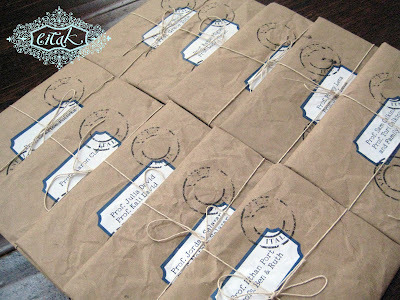 Part One is about INVITATIONS! If you want to quickly check out pictures of the party, please visit my sister Julie’s blog at Lot116 Photography. 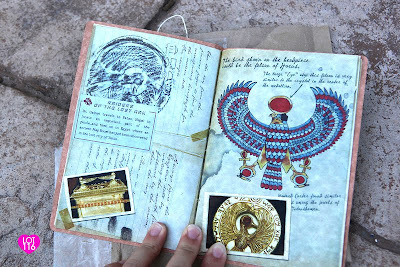 I found a really cool book “The Lost Journal of Indiana Jones” that was published right before “The Kingdom of the Crystal Skull” came out, so I ordered it from Amazon.com to use as reference for the invitation design. It was perfect…exactly the look I was going for and saved me a ton of design/research time…since I basically had to design the entire invite (on my laptop in the back of the minivan) on the drive home from SF. So I scanned the pages I wanted to use, Aaron and I altered some of the images as needed, found the matching fonts, then printed the booklet and covers. It was five pages, printed double-sided and folded in half for a total of TWENTY pages of content. Each of the four Indiana Jones movies was represented in the booklet. For materials, I used leftover parchment paper I had from another project, picked up cheap black elastic from Walmart, postal paper rolls and hemp twine from Dollar Tree, and brown painter’s paper. 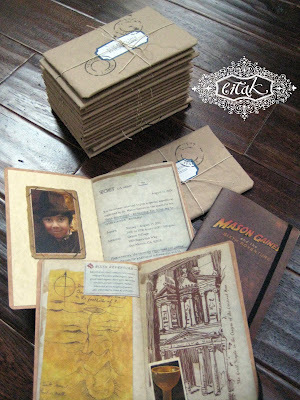 I then hand-stitched the binding, inserted the elastic band, attached the booklet to the cover with book-binding glue. Instead of envelopes, I made labels that looked like the ones Dr. Henry Jones, Sr. used to mail his Grail Journal to his son Indy in “The Last Crusade”. I put the labels on sheets of postal paper, ran them through my printer to imprint the fake “Venezia” postmark, and then crumpled up the paper before wrapping the journals in it. They really turned out amazing and authentic-looking! 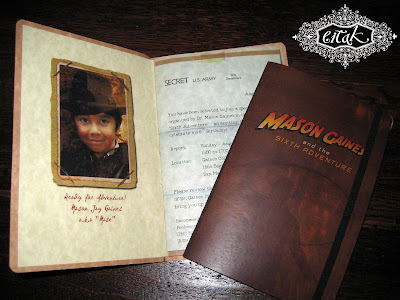 The invitations were hand-delivered by my little Indiana Jones and his sidekick Short Round with less than two weeks before the party (some were mailed and didn’t arrive until the week before)! They were a big hit and I got a kick out of seeing some of the kids carrying them around the neighborhood like it was their own treasured diary. ….to be CONTINUED….PART TWO: DECORATIONS & FOOD (the making of the Boulder Piñata)! These invitations are so amazing!! The time you spent on these is well worth the final outcome. 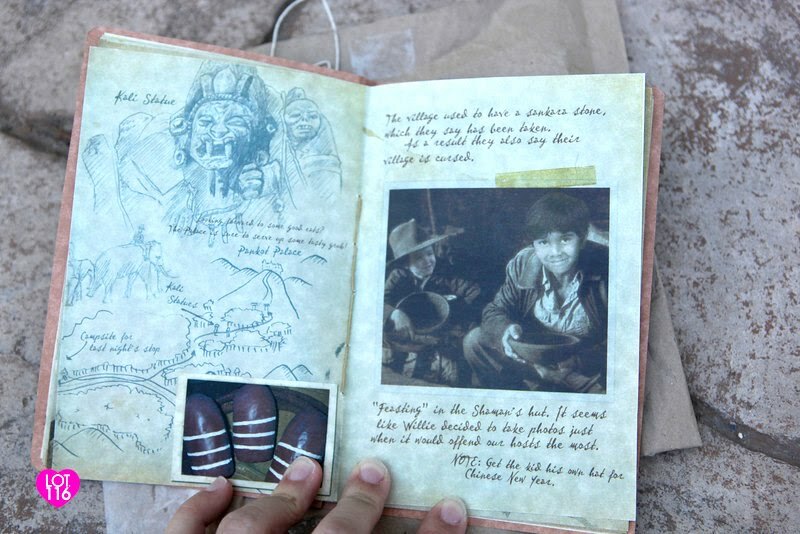 I am having my first Indiana Jones theme for my son, I’m sure there will be many more, and I would love to do something close to this. Can you also send me the stamp picture if you still have it and also any other helpful tips for his birthday party? 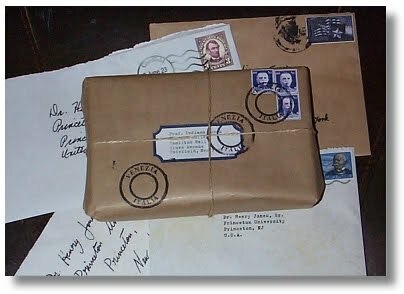 No problem, I will locate the stamp image and email it to you. Let me know what you have planned already and I’d be happy to offer additional suggestions. 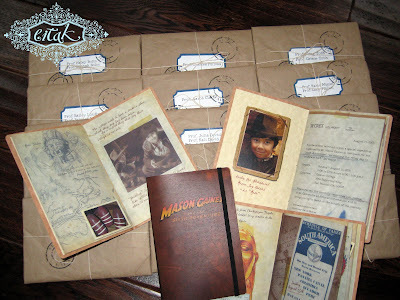 Your Indiana Jones invites are amazing!! We’re doing an outdoor movie party featuring the series for my oldest son. May I ask, as it’s been a challenge, where did you find a ‘clean’ version of the Venezia postmark? I’m not a technical person and have tried to remove the ‘layers’ to no avail. Like you, I’m down to a little over 2-weeks and I’m about to order a rubber stamp! I cannot believe how cool this invitation is. It's full of win, as the kids say these days. Thanks for your comment! 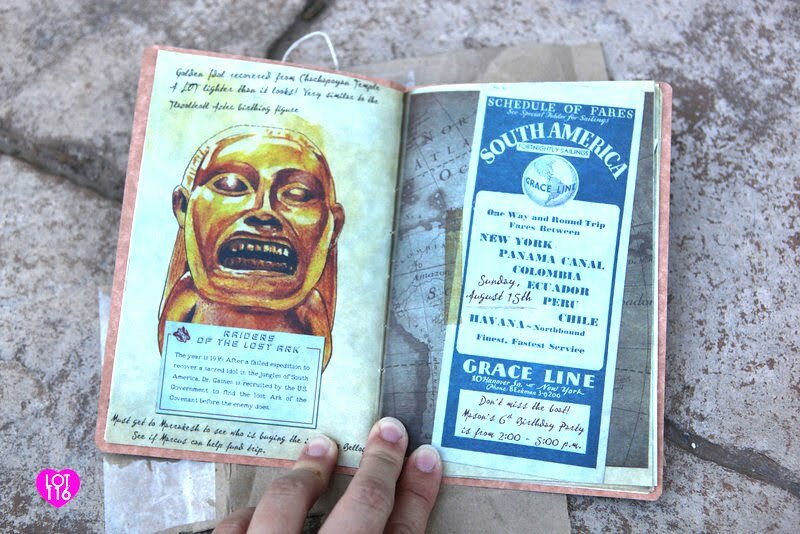 Be sure to check out parts 2 and 3 of the Indiana Jones party for ideas on decor, making the boulder pinata and goodie bags! My son has requested an Indiana Jones birthday party this year. Thanks for the inspiration! Looking forward to reading more. Ciao, Etta! Thanks for reading my blog…all the way from beautiful Italia! Grazie! Wow!!!! You are the best! 🙂 I love this Indiana invites!!!! If these parties get any more spectacular, I hop I'm around for the 16th party. He'll probably want Lady GaGa and who knows who for that one. Wow! Wow! and Wow! I'm not sure what's more amazing? How good the invites are or how you put them together on such a limited time frame. Sounds like you did it all without breaking the bank too. A real homerun!